Early on in our program, we chose only one winner in each contest. This was clean and easy, but only allowed one winner to be promoted and showcased. In today's market, with so many great mobile apps, we felt this was unfair to the development community. We changed to a business model now where we choose a Silver, Gold and Platinum winner for every award contest. 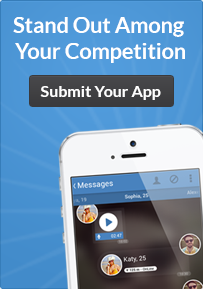 This allows 3 of the best apps to be declared a winner. We only offer Silver and Platinum submissions for publishers looking to submit their apps, and we fill in the Gold winner from either of the other two tiers depending on our judges determination. This means any Silver or Platinum submission, if not picked as a winner in that level, is still eligible to win the Gold. Q: How many winners do you pick per contest? A: We choose 3 winners per contest. Q: What are the award levels? A: Every contest, we choose a Silver Winner, Gold Winner and Platinum Winner, with Platinum being the highest award achievement. Q: Why is the pricing different for the award levels? A: With Platinum Winners being the best in the contest, we naturally wanted to showcase and market them in a more aggressive fashion. We do spotlight interviews with the developers, publish press releases and many other things to ensure winners get the most exposure possible. Due to the large amount of work involved, we require an entry fee to submit an app to one of our contests. The higher the level, the more exposure and perks, hence the higher submission fee.